Interact with us. Choose your platform! Greetings from Maritime & Logistics Weekly, a newsletter published by Apex Group for the global maritime and logistics ecosystem. Global Trade & Logistics - The USA’s metal scrap, plastic and waste paper exports to China will be impacted by Chinese tariffs. Maersk will pilot a shorter Arctic trade lane from St Petersburg to Vladivostok in September this year. Reduction in European diesel imports and gasoline exports to impact global trade flows in 2019. Maritime & Logistics Infrastructure - Sri Lanka seeks Japanese assistance to develop Trincomalee Port. India’s is looking to be a hub of the east coast by leveraging port-led manufacturing. Australia’s Port of Newcastle will seek a new partner for development. Multi-modal Connectivity - Japan and Russia will launch a cargo transportation route via Trans-Siberian Railway. Georgia’s new inland terminal to be a gateway for the port of Savannah. India’s National Thermal Power Corporation (NTPC) will transport fly ash from its plants through inland waterways. Shipbuilding, Ship Repair & Recycling - India’s private shipyards have sought a level-playing field with the public sector to ensure viability. UAE’s Albwardy Damen has expanded its ship-repair services in Oman’s Sohar Port and Free Zone. Norway’s Kimek considers establishing a shipyard in the Murmansk region. We are happy to share the link to an insightful perspective from Maritime & Logistics Weekly publisher Subhasis Ghosh on China's Belt and Road Initiative (BRI) and how it can help industry stakeholders re-learn the effectiveness of the Port-Park-City (PPC) model . Maritime & Logistics Weekly now has over 10,000 followers on LinkedIn, Facebook, and Twitter. We post weekly updates on social media which are generating good conversations. We invite you to join the conversations and share the updates with your colleagues and peers. Maritime & Logistics Investments - Indian Railways will complete projects worth over USD 7 Bln by mid-2019. Canada’s CPPIB and Australia’s Goodman will invest USD 1.7 Bln to expand their partnership in China. Lloyds Bank has invested USD 115 Mln in PD Ports to develop key infrastructure projects in the North East, UK. Free Zone & Logistics World - Indian shipping ministry is looking at SEZ-like tax benefits to promote Coastal Economic Zones (CEZs). The ILoilo province in Philippines is pursuing the development of 5 of its towns into SEZs. Kenya is looking to unlock the potential of SEZs. Automation & Training - China and Singapore are looking at a closer collaboration in technology, logistics and other sectors. Rolls Royce has launched a lithium-ion based storage system for small ships and tug vessels. 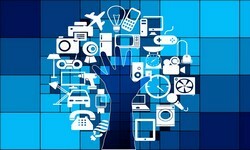 Opinion: IoT is increasingly being leveraged in warehousing, shipping and transportation. Global Trade. 23 August. 4 minute read. Starting August 23, US metal scrap, plastic and waste paper exports to China began to attract additional levies introduced recently by the Chinese authorities. China imposed restrictions on waste imports in 2017 as it sought to source more recycling material domestically. As a result, China’s scrap metal imports decreased by 30 percent in H1/2018 and plastic waste imports dropped to almost zero this year. Daily Mail. 23 August. 7 minute read. Maersk, the world's largest shipping company, is piloting a 'shortcut' route through the Arctic sea as rising global temperatures thaw the ice-capped passage. Maersk's ship, named Venta Maersk, will have a reinforced hull and a capacity of 3,600 containers and will travel between the cities of St Petersburg and Vladivostok. The event will mark a tipping point for shipping as per the experts. Hellenic Shipping News. 24 August. 2 minute read. Daily FT. 23 August. 3 minute read. Sri Lanka seeks Japan's support in the development of Trincomalee Port as part of its push to strengthen the cooperation of the two countries in the maritime sector. Sri Lanka aims to position Trincomalee Port as the central port in the region to leverage the rapid growth of the Bay of Bengal countries in the next 20 years. The Hindu. 23 August. 5 minute read. The Indian state of Odisha aims to develop the state into a manufacturing hub by taking advantage of port-led manufacturing aided by progressive policies and state-of-the-art infrastructure. Odisha seeks to partner with Japan towards realizing this vision and has proposed to make it a country partner for the second ‘Make in Odisha’ investors meet to be held in November. Splash247. 20 August. 2 minute. With the expiry of DP World’s MoU with the Australian Port of Newcastle, the port seeks new partners to help with the development of a container terminal. Local media reports have suggested that DP world could be looking to invest into developing a terminal at Wollongong to the south of Sydney. RT. 20 August. 5 minute read. Russia and Japan will jointly develop a rail cargo transport route via the 9,289 kilometer-long Trans-Siberian Railway, thus opening the third distribution channel between the two countries after sea and air routes. The Trans-Siberian Railway is the longest railway line in the world which connects Moscow with the Russian Far East clocking a travel time of seven days. Railway Age. 23 August. 7 minute read. The US state of Georgia recently opened the Appalachian Regional Port (ARP) that will offer customers in Georgia, Northeast Alabama, Tennessee and Kentucky the option to move cargo to and from Savannah’s container port. The new facility will provide easy access and expedited handling to customers and remove an estimated 50,000 trucks from local highways annually. Economic Times. 24 August. 4 minute read. India’s National Thermal Power Corporation (NTPC) has joined hands with the Inland Waterways Authority of India (IWAI) to transport fly ash, a by-product of power generation with coal, through India's inland waterways. The initiative is aimed at fulfilling the huge demand of fly ash and overcoming the constraint of transporting it only through the railways, as is done currently. Business Standard. 21 August. 6 minute read. The Shipyards Association of India (SAI) has urged the Indian government to provide a level-playing field with the public sector undertakings (PSUs), which in the former's view, are awarded most of the govt orders. The private shipyards have pointed out that the Indian shipbuilding industry is the only Indian industry that is not granted any protection by way of domestic tariff barriers. Hellenic Shipping News. 24 August. 5 minute read. Albwardy Damen, a joint venture between Dubai-based Albwardy Investment and the the Netherlands' Damen Shipyards Group, has launched a full range of afloat, workshop, and diving services at Sohar Port and Freezone, a deep-sea port and adjacent free zone facility located in Sohar, Sultanate of Oman. Albwardy Damen's repair services include hull and deck steel repairs as well as mechanical works such as engine overhaul, hydraulic and electrical works. The Barents Observer. 17 August. 7 minute read. Norway's ship repair and industrial services provider Kimek is looking to build a new shipyard in the Murmansk region to support Russia's commercial vessels operating in the Barents Sea. Murmansk is Russia’s busiest Arctic port that handles millions of tons of cargo annually. However the region lacks a large civilian ship repair yard, an opportunity that Kimek seeks to fulfil. Read an insightful perspective from Maritime & Logistics Weekly publisher Subhasis Ghosh on China's Belt and Road Initiative (BRI) and how it can help industry stakeholders re-learn the effectiveness of the Port-Park-City (PPC) model .The column is based on Mr Ghosh's conversations with industry leaders and his own objective assessment of the initiative. Stay tuned to our newsletter to remain updated on key developments and events that MaritimeWeekly supports. Business Today. 24 August. 5 minute read. Indian Railways aims to complete several projects including the commencement of the semi-high speed 'Train 18' which will run at the top speed of 160 kmph, in the next eight months. Projects include the launches of several routes of the dedicated freight corridor projects, refurbishment and upgradation of around 70 railway stations, and the installation of 0.5 million CCTV systems at major stations. Reuters. 23 August. 2 minute read. Australia's property developer Goodman Group Pty Ltd Goodman and the Canada Pension Plan Investment Board (CPPIB) will invest USD 1.75 billion more into China's logistics companies which are experiencing a spurt in demand for warehousing and delivery services from e-commerce firms such as Alibaba and JD.com. CPPIB, that will contribute 80 percent to this investment, has already invested USD 21.45 billion in China. The two partners’ total equity commitment now stands at USD 5 billion. Business Leader. 24 August. 4 minute read. With the provisioning of a USD 115 million package to Middlesbrough-based PD Ports, Lloyds Bank has taken one more step to support the development of key infrastructure projects in the UK's North East region. PD Ports will use the money to support an ongoing capital expenditure programme for the expansion and development of its ports and logistics assets. Business Standard. 21 August. 5 minute read. India's shipping ministry is looking to provide tax concessions – on the lines of the ones available for special economic zones – to draw investors for its Coastal Economic Zone (CEZ) scheme. The ministry is in the process of seeking approval for the same from various stakeholders including the NITI Aayog, Department of Expenditure, DIPP and the road ministry. Philippines News Agency. 24 August. 3 minute read. The Philippines' Iloilo province aims to develop its five towns viz. Miag-ao, Dumangas, Leganes, Concepion and Passi City as economic zones. The development of economic zones might be done through public private partnerships and the process of marketing among investors of the identified sites will start soon. The Star. 9 August. 7 minute read. The Government of Kenya looks to unlock the economic benefits offered by Special Economic Zones by offering a slew of tax and non-tax benefits to encourage foreign investors as well as local industry players who can use the opportunity to competitively access international markets. The SEZ push indicates a policy shift away from Export Processing Zones (EPZ) which have been unable to attain the desired economic impact. China Daily. 24 August. 7 minute read. Chinese companies and their Singaporean counterparts seek to form closer ties in technology, logistics, and allied areas to build strong digital economies and smart cities. Chinese companies of the likes of Alibaba, Baidu, and Tencent have established a strong global presence in the ecommerce space and Singaporean companies excel in business-to-business technologies, and are known to offer good solutions in finance, transportation and logistics. Port Technology. 20 August. 5 minute read. SAVe Energy, a lithium-ion-based energy storage system, recently launched by Rolls-Royce, will help shipping companies increase the efficiency of small ships and tug vessels. The new system can be combined with an LNG or diesel-powered engine as well as most types of propulsion units and can be scaled to meet any energy or power requirement. Compelo. 23 August. 12 minute read. The Internet of Things (IoT) is being increasingly leveraged by companies such as DHL and Cargotec to streamline operations, increase visibility and save costs. A recent study estimates that the global IoT devices market in the logistics sector will grow from USD 90 million in 2015 to USD 2.44 billion by 2020, posting a whopping 93.5 percent CAGR growth. DISCLAIMER: Maritime & Logistics Weekly is an educational newsletter for maritime and logistics industry stakeholders. You have been chosen to receive this either by prior contact or professional association. If you have received it by mistake, do please accept our apologies. You can unsubscribe by clicking the link at the bottom of this mail.